Everyone who’s been around long enough has probably lost important data at some point or the other. Whether it’s personal pictures or documents that are work related, the loss can be painful to say the least. 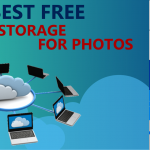 Using Cloud Storage for all your valuable data is good idea to make that troubles never happen. 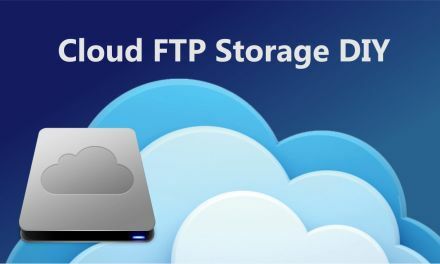 Being able to maintain a personal hard drive in the cloud not only keeps your files safe but also lets you access them from any physical location in the world. 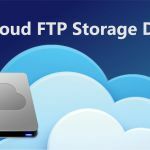 The added advantage of having your files perpetually available to anyone you have shared them with is almost like having your own personal server on the cloud. 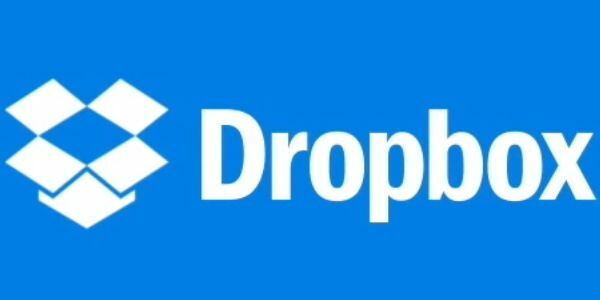 Dropbox is one of the more popular cloud storage providers with over 500 million personal users and over 200 thousand businesses currently using the service. We’re going to compare them with Google Drive, OneDrive, LiveDrive, Sync.com and Tresorit to see how justified this popularity really is. Why do we choose 1TB storage for price comparison? 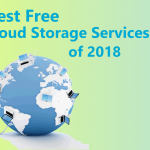 Most cloud storage providers have a free tier that runs anywhere from a couple of gigabytes to about twenty depending on the provider. Comparing them based on the free tier could be deceiving since serious users usually require about a terabyte just to get started. For this reason when it comes to pricing, we’re going to compare them based on what a TB of data would cost. 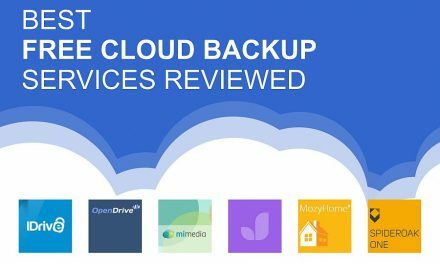 However, if all you need is just a temporary backup option for less than 1 TB, there are lots of Free Backup Cloud Services. Offers “Military Grade Security” and keeps a backup of all files and transfers in a secure UK data center. Dropbox Selective Sync lets you choose what to sync and gives you the option to store only your most important files on your computer. Powerful productivity tools that let you collaborate with other users: integration with Trello, Slack, DocuSign, etc. Top of the line security with the same security protocol that Google uses on Gmail and all their other services. You can store any kind of file. You can decide which files you would like to share or keep private. Complete compatibility with a host of powerful products, services and applications from Google ecosystem. 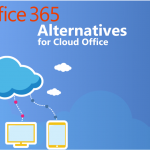 Built-in security from Microsoft Office 365 along with enterprise-grade user and admin controls. Easy storage and sync with familiar browsers and applications that let you work with other people in real time. Huge collection of partner apps for everything from Security and Analytics to Workflow and Utilities. User friendly online Briefcase that lets you securely view or edit your files from anywhere in the world. Free LiveDrive mobile applications for iOS and Android lets you view files or even stream videos straight to your device. “Zero-Knowledge” or fully encrypted data in addition to 2048 bit RSA, 256 bit AES, SSL and TLS encryption. Easy syncing and file sharing. You can limit the number of times a link can be viewed or used. User friendly and simplistic web client that works well with large (up to 5 GB)and small files alike. End to end encryption with cryptographic key sharing and client side integrity protection. Secure access across ten devices that include Windows, iOS, Android, Mac, Blackberry or Linux along with unlimited version recovery. Additional privacy options with Apple’s CareKit platform. 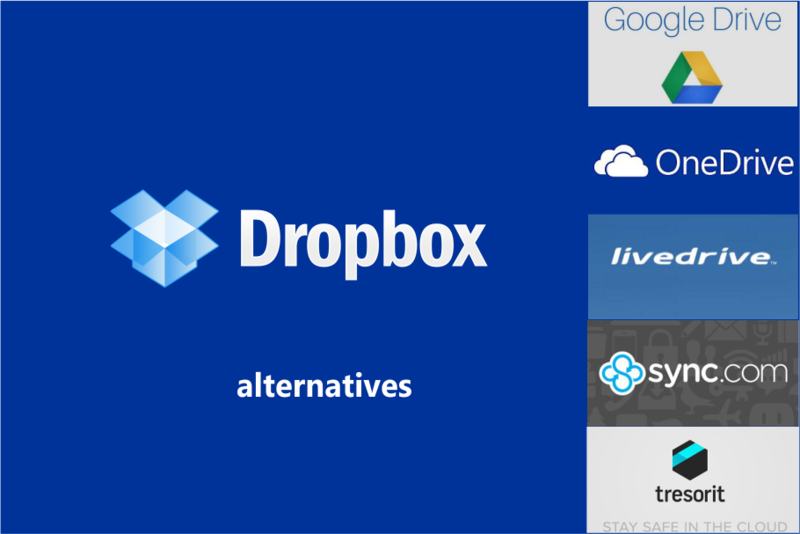 Google Drive and Dropbox are both easily the top two cloud storage providers. With similar pricing, accessibility and security. While both offer 256 bit encryption, they have both had their share of security issues. With similar pricing at $9.99 a month for a TB of data, it really boils down to Google’s extra tools and productivity environment. 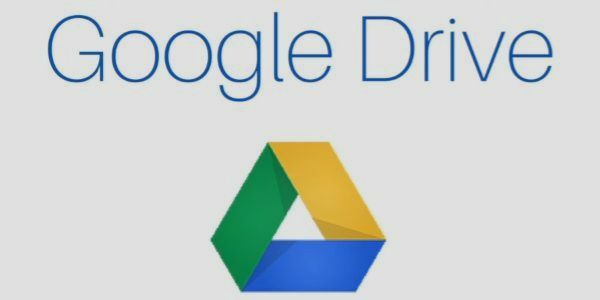 Another key difference is that Dropbox shares files from its desktop app while Google drive lets you share from its web application. 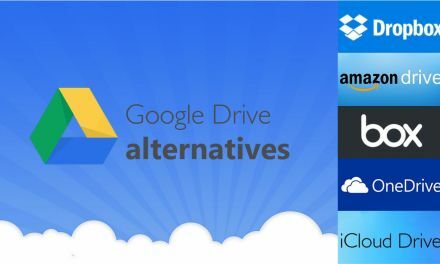 Dropbox has definitely been around longer and hence the more popular of the two, however Google’s a worthy competitor and offers its customers a plethora of apps and tools to play with. At around $6 a month for a TB, Livedrive has the most competitive pricing of the lot. When compared to Dropbox where you have multiple apps and services to play around with, Livedrive is more simplistic in their approach. One standout feature is the ability to simultaneously synchronize and backup with Livedrive. Livedrive also features a lot more options and menus when compared to Dropbox so if you’re a control freak who likes to play around with settings a lot, this might just be the best option for you. Though Livedrive has received some mixed reviews in the past, the takeover by J2 Global has definitely seen a steady improvement. 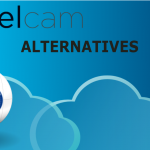 Overall a good Dropbox alternative if you’re on a tight budget. Microsoft looks like they’re going out of their way to one-up the competition in the cloud storage sector. At only $6.99 a month for a TB of data with every Office 365 Personal subscription, Onedrive is significantly cheaper than Dropbox or Google Drive. 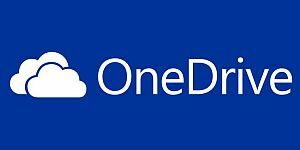 Ease of use is where Onedrive really excels since they’ve intrinsically linked Onedrive into almost every single Microsoft offering to a point where even if you have a Hotmail account, you’re already on Onedrive. This isn’t to say that Dropbox doesn’t have a host of tools that boost productivity and also play well with Microsoft Office. Letting people work together in real time on MS Office is one of the selling points of Dropbox, but with a TB of data free with every Office 365 Personal edition, why bother? There really aren’t a lot of reasons not to go with MS Onedrive, especially if you’re a Windows or MS Office user. I guess Microsoft still knows how to play Monopoly to some extent and with the reliability backed by the Azure cloud, this really is a great Dropbox alternative. Syn.com is all about privacy and security. If you’re really paranoid about people having access to your files, this is probably the best choice for you. The whole business has been based on keeping client’s data confidential and they’re marketed as “Zero-Knowledge” providers. What “Zero-Knowledge” effectively means is they have zero access to your files. At $5 a month for a TB of data, it costs about half as much as Dropbox. The added security isn’t for everyone and the extra encryption means you sacrifice some features like thumbnail viewing. 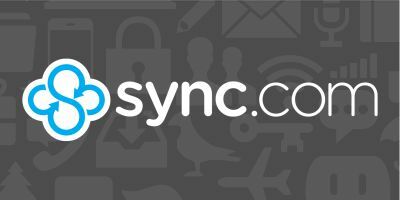 If security isn’t your priority, Sync.com is still a good alternative to Dropbox, especially considering the low price. 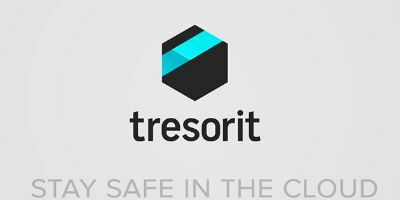 Tresorit is another interesting alternative and also features beefed up security along the lines of Sync.com. Originally developed by cryptographers right from the get-go, Tresorit offers end-to-end encryption which is pretty similar to the “Zero-Knowledge” model. They take pride in their “White-Hat” skills and offered a $500,000 reward for anyone who could hack their site over a 500 day period. No one was able to claim the reward and that is in effect a testament to how serious these guys are about security. At almost $17 a month, Tresorit is probably the most expensive of the lot though the service is quite worth the premium. If having your security taken care of by a small team of people who love what they’re doing is your priority, then Tresorit is probably the best choice for you. 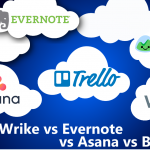 The fact that we’re comparing all these storage offerings to Dropbox in the first place says a lot. 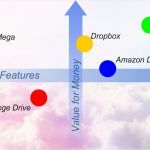 Dropbox definitely got to the market early and is arguably the industry leader at this point, similar to the way AWS is dominating the Enterprise Cloud. 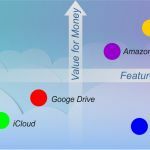 The similarity ends there however since we don’t really see Dropbox going out of their way to be better than the competition in the way AWS is always inventing and innovating. When it comes to technology, you need to always be pushing the envelope and going out of your way to make sure the end user experience is awesome. In conclusion, the one that really seems to be going out of their way to be the best is Onedrive. Apart from having easy integration and a very reasonable price, the Azure architecture is among the most reliable. Syn.com and Tresorit seem to be targeting specific customers that are security minded or probably dealing with sensitive material. 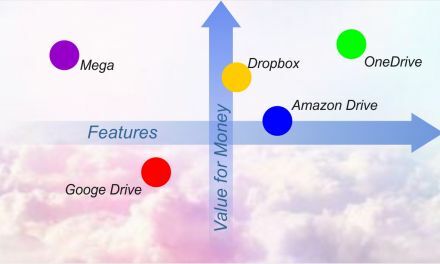 The main competition here for Dropbox’s huge market share and 10 billion dollar valuation is definitely Microsoft and Google. 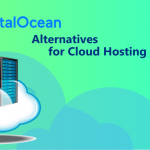 PreviousCloud Hosting: What is Cloud Hosting. A Beginner’s Guide. 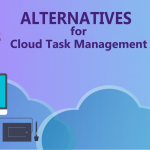 NextMicrosoft Azure alternatives for Windows Server cloud hosting.